We have to know our prey. We need to know what we can actually take down, know where it can be found and develop the skills to get close. We have to have reasonable expectations of our team and church. We have to find those things that are declining… Maybe not unfruitful yet, but it’s fruitfulness is on the decline with no real expectation of returning. We may find these “animals”, but may need to stalk them for the short or long term, until they are close and primed. When we get close enough, we must take the necessary action…kill it! Then take the resources that are freed up and begin to invest them in a predetermined plan that will ensure growth and vitality. We cannot shrink back at the killing point, it’s far to easy to just stall the “animal,” admit it’s need to die, but do nothing. The enemy of complacency is everywhere. It’s championed by representitavies of all the tribes: the faithful, the complainers, the biggest givers and even staff and family. But they aren’t your enemy, your enemy is the ever present temptation to rest in the hammock of success. 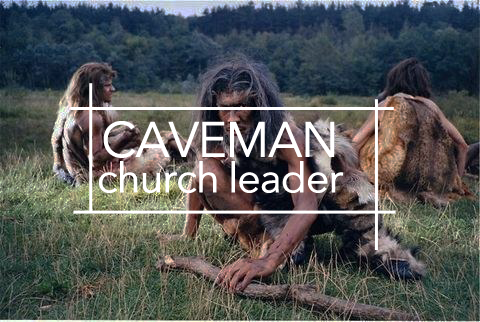 A luxury no caveman leader can afford. As soon as you enjoy the fullness of your success, you have to search for the next “animal” while you have the strength because the search may take longer than you anticipated and need more caveman to bring it down. Never stop looking for the “animal” that has begun to consume more than it produces. Several people keep receiving rejections every time they apply. thinking that as soon as they die, why will they need to have the cash.